Yesterday’s record high temperatures (92 in Portland shattered the old record of 87) were ushered in on a strong southwesterly flow. Unseasonably warm air continues today, as the southwesterly winds aloft are picking up ahead of tonight’s cold front (more on that shortly). …but notice that by today, cool, Canadian air was pouring down into the Upper Midwest (which resulted in some big flights over the last two nights in that region). In addition to hot and very muggy conditions, this strong southerly flow has the potential to usher in some hot new rarities to our neck of the woods. While it appears that the Biddeford Pool Kentucky Warbler has moved on, I am expecting some more southern strays to turn up in our region. Keep in mind, however, that these winds are not “blowing” birds north, but instead facilitating birds to arrive here that are either wandering (post-breeding dispersal, prospecting for new territories, etc) or area already flying in the wrong direction (e.g. “180-degree misorientation”). In other words, if a Kentucky Warbler – for example – was “miswired” and began to fly north instead of south, a strong southerly wind would push it even farther the “wrong” way. 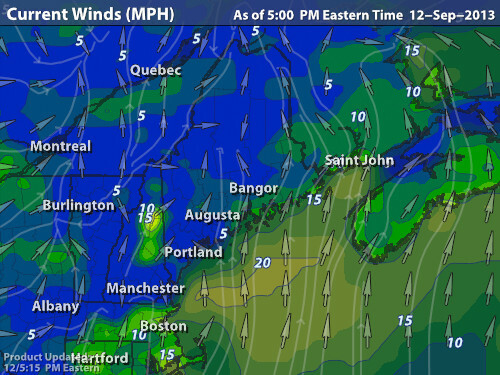 Then, with tonight’s cold front, the strong northwesterly winds that follow could push the birds towards the coast. There, they find a coastal migrant trap – i.e. a dense thicket full of fruiting bushes in the woods of Biddeford Pool – to seek shelter in while they refuel. There, they are more likely to be found by an alert birder than say somewhere in the valleys of the western Maine mountains. Many migrants spend 3 to 7 days to “refuel.” I don’t think it was a coincidence that the Biddeford Pool KEWA was seen for five days…and that it disappeared after a night of light southerly winds. Of course, it may have just moved to a richer food patch, or one without birders unnecessarily blasting a tape at it all afternoon. Anyway, what will the weekend produce? I might be thinking more along the lines of birds like Summer Tanagers and Hooded Warblers based on this recent weather pattern. Unfortunately, I won’t be around to find them! Instead, I will be helping out at the Leica Sports Optics booth at the Cape Cod Birding Festival in Hyannis (I’ll also be signing copies of “How to Be a Better Birder,” which of course covers many of the vagrant-producing and Mega-finding topics that I have touched upon here). Ahead of tonight’s cold front, and before the forecasted thunderstorms of the afternoon, I – not surprisingly – was out birding this morning. It’s September – there’s really no such thing as a night with “no” migration. However, what was flying last night was not being noticed on the radar; likely a limited number of birds were flying below the clouds, however. …A distinct west to east movement, unlike the northerly to southerly movement of southbound fall migrant birds. Therefore, I was not surprised to have very, very few birds overhead at dawn over our yard this morning, or later on at Hedgehog Mountain Park. I did, however, find a lot of birds in the woods. While some of these might have been new arrivals that snuck in below the clouds and between the storms, the mixed-species foraging flocks working through the woods was much more indicative of birds that have been around for a day or two. The flock that moved through our yard shortly after sunrise, consisting mostly of Blackpoll Warblers, also contained not one, but two new Yard Birds for us: Cape May Warbler and Philadelphia Vireo! Also, at least two Tennessee Warblers. Multiple mixed flocks were encountered at The Hog, led by Blackpoll Warblers, along with a healthy serving of Black-throated Greens. A Lincoln’s Sparrow foraged at the edge, and a mixed-species flock consisting of 40+ Chipping Sparrows, 6 Eastern Bluebirds, and 1 Pine Warbler worked the edge of the transfer station and out through the ballfields. Afterwards, I zipped down to Pine Point for the low tide. 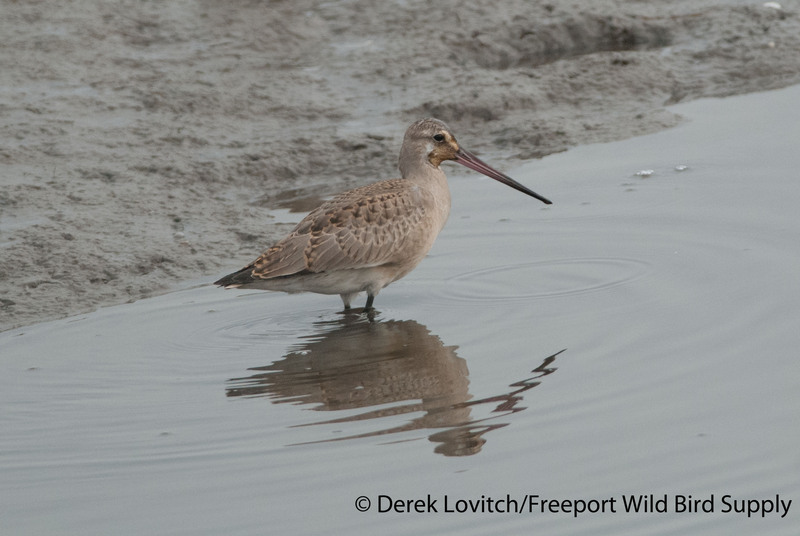 Shorebird numbers are down considerably, as expected by the middle of September. And, I would expect a lot of the birds I saw today to clear out behind this next cold front. About 180 Semipalmated Sandpipers led the way, punctuated by a juvenile Red Knot, and two continuing American Oystercatchers (they were too far to determine age, visible over on Western Beach as viewed from Pine Point Beach). Four juvenile Dunlins were a sign that their migration – one of our two latest migrant shorebirds – is just now picking up. 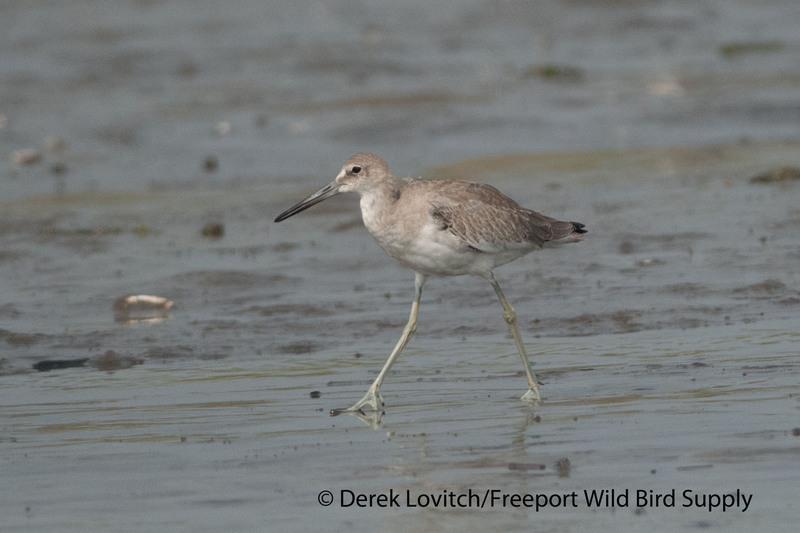 The highlight, however, were side-by-side “Eastern” and “Western” Willets. 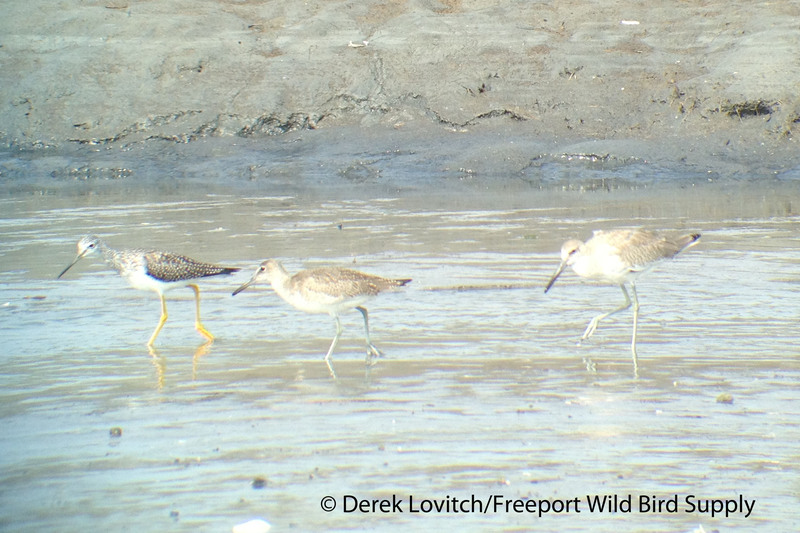 Unfortunately, I was only able to get the two in the frame together by phone-scoping, here with a Greater Yellowlegs for a convenient reference. Even from the lousy phone-scoped photos, you can see how distinctive these two subspecies (for now!) are. The smaller, “dumpier,” browner Eastern nicely contrasts with the larger, lankier, and much grayer Western. Also, note how the darker brown scapulars of the Eastern contrast with the rest of the wing; Western is more uniform. The head of the Eastern is also more contrast-y, and in this individual, the bill is so distinctly shorter and blunter. 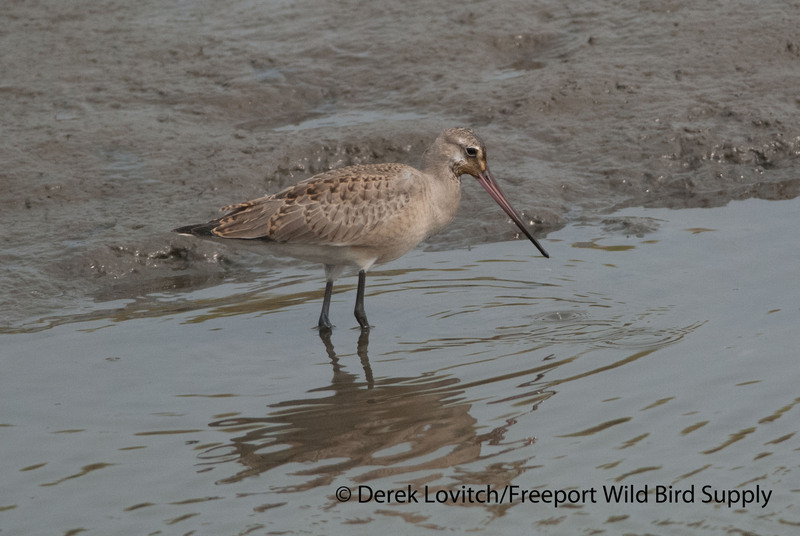 Elsewhere, I finally got a chance to look for – and find – the juvenile Hudsonian Godwit that has been frequenting the river behind the Scarborough Marsh Nature Center for about a week now. This is the first “Hud-wit” that I have seen in two years here in Maine – this once-common migrant has definitely declined dramatically in the state. Now, my eyes are on the weather maps, and after dusk, the radar, to see if I will be at SandyPoint at sunrise on Friday. This is the wind map as of 5pm. The northwesterlies behind the front are barely peeking into the region north of the St. Lawrence River in Quebec. Currently, forecasters are suggesting that the cold front won’t pass through until tomorrow morning. However, with very light winds overnight, perhaps with a westerly component, there could be some birds on the move…depending on when this latest batch of rain and thunderstorms (the storms last night and this afternoon were wicked, weren’t they? 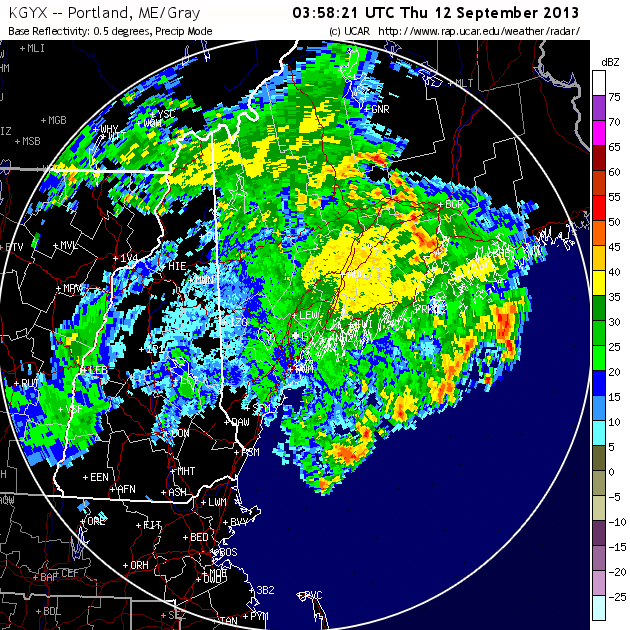 And very un-September-like) moves through. Will the front get here soon enough? Will birds be moving directly behind the front? Will they be pushed offshore enough to need to reorient in the morning? I’ll let you know tomorrow! 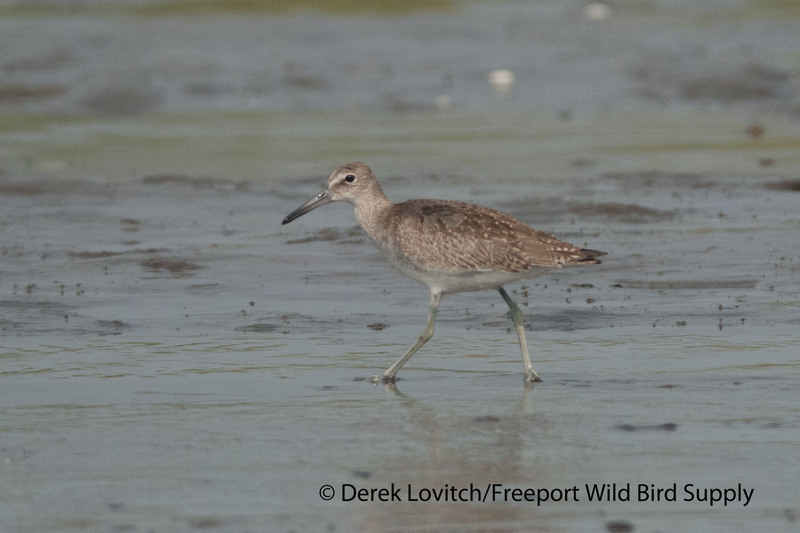 This entry was posted in Birding in Maine and tagged Birding, Eastern Willet, Hedgehog Mountain Park, Hudsonian Godwit, Maine, migration, radar, Scarborough Marsh, shorebirds, warblers, Weather, Western Willet on September 12, 2013 by Derek.